Time to come out of hibernation a bit. Yes, the garage really is finished, or was a while ago now. Well, bar the hanging of many items on the wall, potentially a bit of garage carpet on one side, and a freezer. But we’ll call it finished for now! Pity it’s too full of cars all the time, so you can go without a photo for now. So on to new tasks. 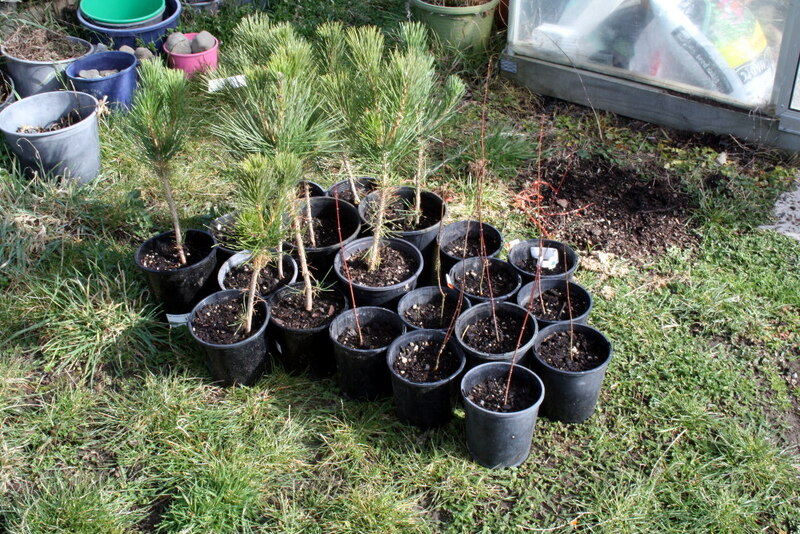 First up to plant a few trees that turned up on the doorstep (one box needs an “eventually” added somewhere in there) this week. Only 180 of them. Of which 120 are bare root, and need attention sooner rather than later. Gulp! I managed to get the the Black Pines and ten Maples done the other night, so there’s only 100 small Hornbeams to go. They’re the ones crammed tightly into the white plastic bag. Oh joy! 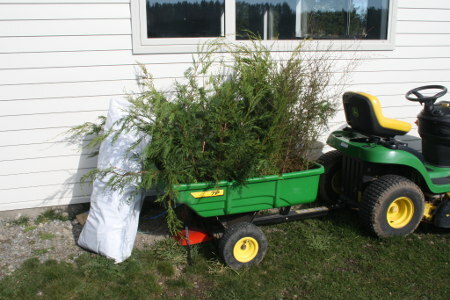 And then to get the 50 hedge Cypress in, along with a random ten Kanukas and then we’re done. 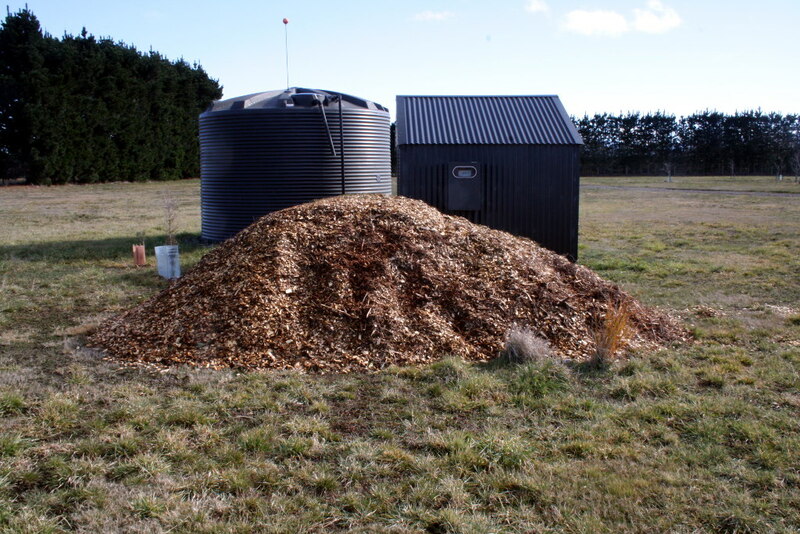 At least until the next stage – moving this rather large heap of mulch around them all! Anyone want to come lend a hand and a wheelbarrow?! This entry was posted	on Sunday, August 7th, 2016 at 3:43 pm	and is filed under Plants and Gardens. You can follow any responses to this entry through the RSS 2.0 feed. You can skip to the end and leave a response. Pinging is currently not allowed.